All over the country, breast cancer fundraisers and educational events have featured lecterns in the signature pink color of breast cancer awareness. These podiums are made available by a cause marketing donation program from AmpliVox® Sound Systems, which delivers durable all-weather lecterns free of charge to local breast cancer organizations. The Pink Podium Promise, launched in 2010, has placed lecterns with well over 200 groups, including national fundraising and research groups, American Cancer Society chapters, foundations, hospitals, and local governments. One lectern even went to the US military in Iraq for use in educational programs. The pink lecterns are made of double plastic that can withstand any weather, in keeping with the unpredictable conditions of outdoor events and races. They can be easily moved, thanks to their heavy-duty casters, built-in handles and minimal weight. 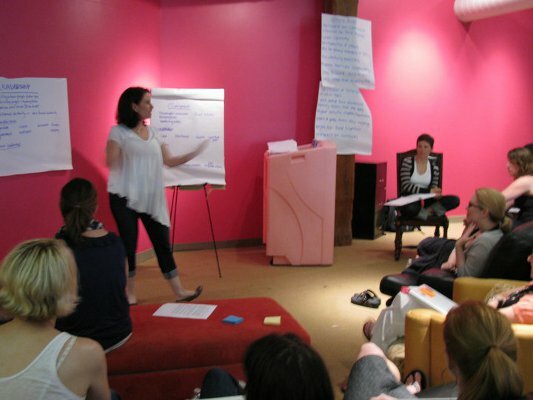 AmpliVox delivers each lectern at no cost before an organization’s event, and the group can then keep its pink podium for future use. 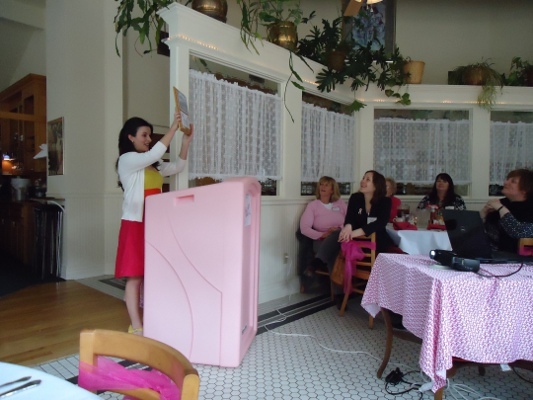 With the success of the pink lectern donations, Roth began offering the "Pink Power" megaphones to the in 2012 to any interested group for use in educational or fundraising events. The versatile megaphones, which weigh just two pounds and project sound for up to 100 yards, received an enthusiastic response from organizers of races and other outdoor fundraisers, including massive race events in New York’s Central Park for which AmpliVox provided over 50 megaphones in 2012 and 2013. Are you involved with a breast cancer awareness program? ?